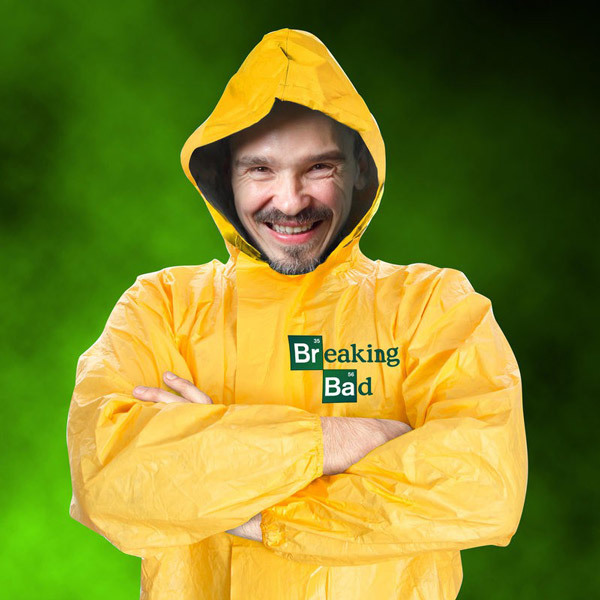 "Lets Cook" with this all-in-one waterproof Breaking Bad full body suit, which is ideal for fancy dress parties or even festivals. Taken from the iconic AMC series, this bodysuit is modeled directly on the suit that characters Walter White and Jessie Pinkman wear when they are making their precious meth. The suit features a 3/4 zip to allow you to easily get in and out of the bodysuit whenever it starts pouring with rain. 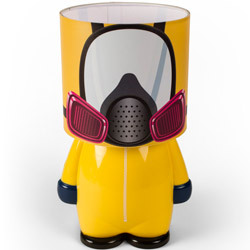 Official Breaking Bad merchandise and made from PVC.